Acclaimed renditions of one of the world’s greatest poets Hafiz into the English language. The Green Sea of Heaven is a groundbreaking work of translation of one of the greatest poets of world literature. Háfiz (fourteenth century) was the unrivalled master of the Persian ghazal, a lyric form roughly equivalent to the English sonnet in length, intensity, and complexity. 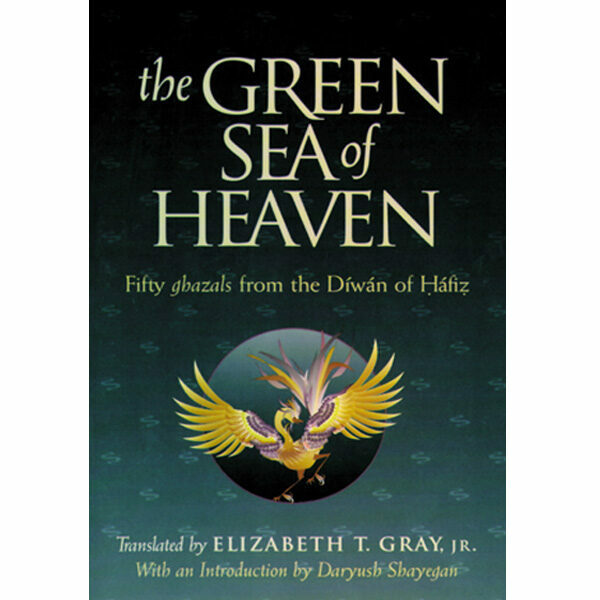 The fifty ghazals from Háfiz’s Díwán (collected works), are a fine sampling of his poetic genius, expressing his passion for the Divine Beloved and his scandalous (to the Muslim clergy of the day) exaltation of music and wine as vehicles of transcendence and religious ecstasy. This is a bilingual edition with the Persian text facing each ghazal translation into English. ABOUT THE TRANSLATOR Elizabeth T. Gray Jr.